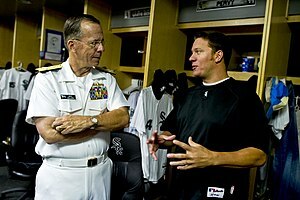 ^ SignOnSanDiego.com > San Diego Padres -- Peavy gets four-year contract 2008年1月11日閲覧. ^ October 4, 2005 National League Division Series (NLDS) Game 1 at Busch Stadium Box Score and Play by Play - Baseball-Reference.com 2008年1月11日閲覧. ^ World Baseball Classic: Statistics2008年1月11日閲覧. ^ ESPN - Peavy's 3-year, $52M deal largest in Padres history - MLB 2008年1月11日閲覧.